I have known Balu for 2 years and he has always come out as a person full of life. We always knew Balu as a fun loving person who is a great dancer and entertainer. But in the last 4 months, since he was diagnosed with Blood cancer, he has turned as a source of inspiration for many of us. His fight against cancer and will power has been impeccable. I am sure he gets this courage from his lovely family, having blessed with a loving wife and a adorable son. It is a personal battle no one can deny that but the one thing, we as his well wishers, can do for him is give him all the support and love. 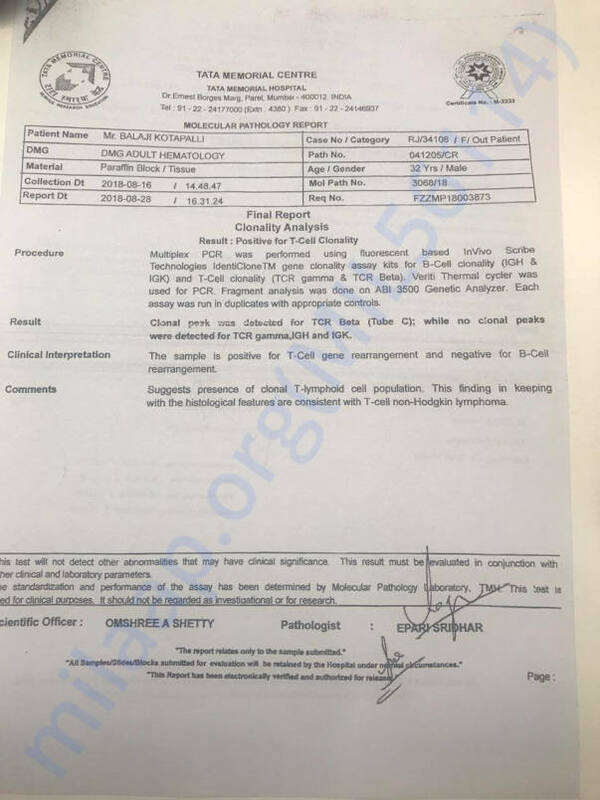 Balu has completed his 4 cycle of chemotherapy. This shall follow another 2 cycles of chemo and thereafter bone maroow transplant. His chemo therapies are being covered as per company's medical insurance but for bone marrow transplant he is reaching out to have support from all of us. The requirement is approximately of 25 L (approx 34000$) for his Bone Marrow Transplant urgently. Please donate with a Big Heart to this cause. 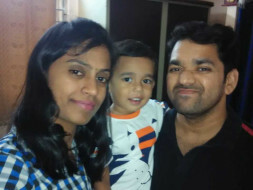 Balaji's BMT was postponed because there were some complications and the cancer had spread to his lymph nodes. 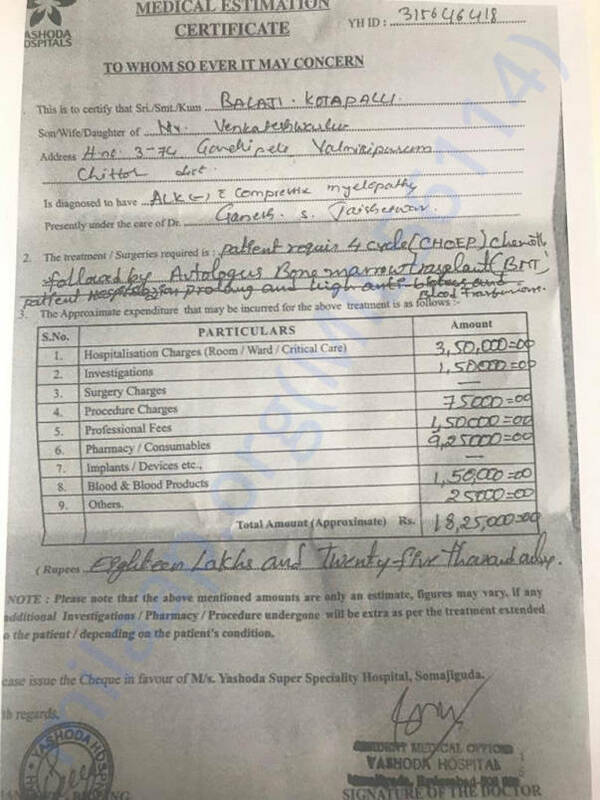 As of now he has completed six cycles of chemotherapy and it looks like he requires more. His sister has been called in to undergo some tests to see if she can be a potential match as a donor. 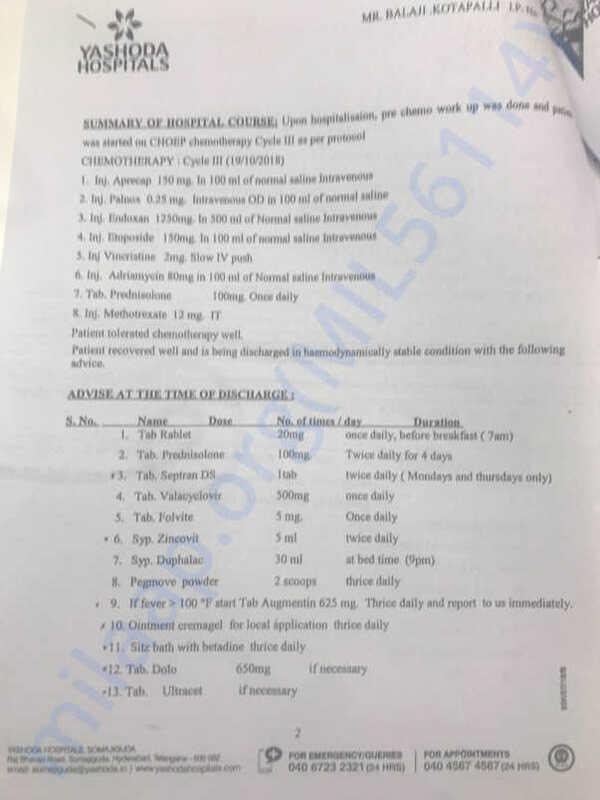 Update about Balaji- Balaji has completed 6 cycles of chemotherapy and as a side effect he developed TB which is being treated in parallel. Bone Marrow Transplant will be planned in 1-2 week once TB gets under control. TB is not severe but would require him to be under medication for next 6 months. Thanks for your generous support. It was overwhelming to see the response to this campaign. 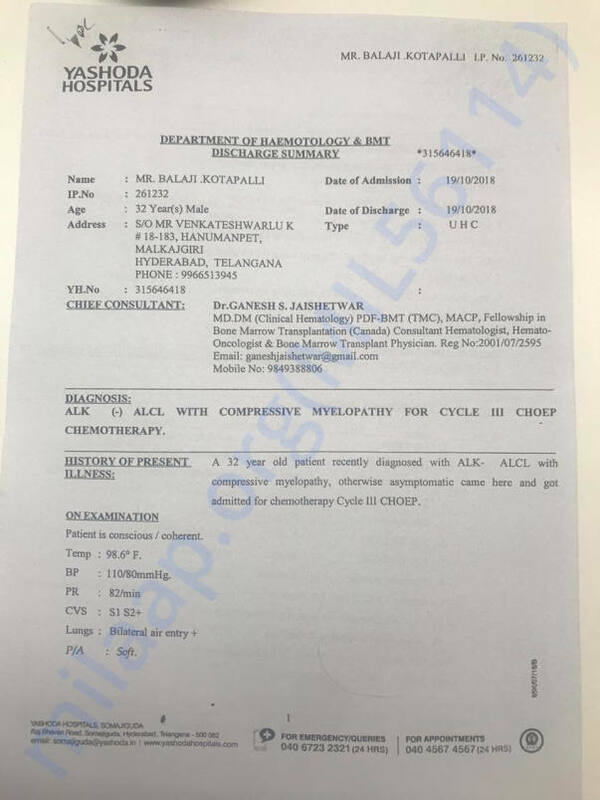 Balaji has just completed his 6th cycle of chemotherapy. He plans to go for bone marrow transplant in the coming weeks based on his health. Keep sharing the campaign and praying for his health. Will keep you posted.